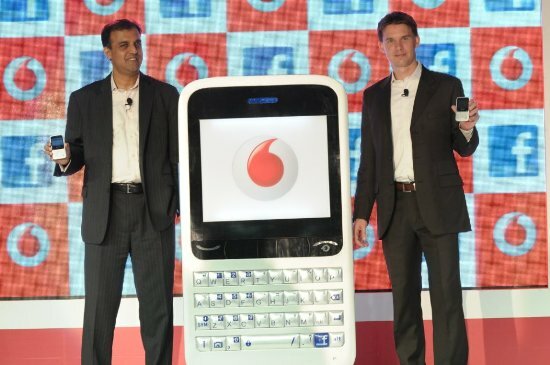 Vodafone Essar has launched a new handset called the Vodafone Blue. The handset is designed for people who love to stay connected with Facebook and has been developed in collaboration with Facebook itself. The handset allows users to easily share and connect with their friends anytime, anywhere. 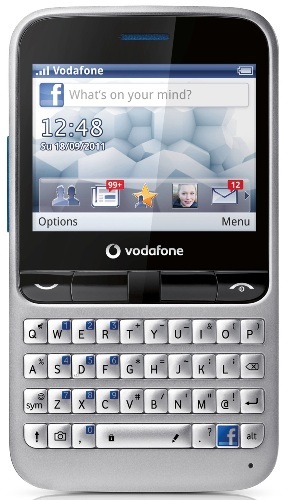 The Vodafone Blue has a special F button that lets the user upload pictures, visit profiles and update status at a single click. The phone takes Facebook integration to a different stage by providing all kinds of updates as counters, notifications, and displays Facebook posts regularly in the background. Additionally, Vodafone Blue will be launched in India, with unlimited access to Facebook for a year from the date of its purchase. The handset brings in all the above social networking functions and is priced at an MRP of Rs 4950 (inclusive of all taxes). Commenting on the launch of the phone, Henri Moissinac, Head of Mobile Business, Facebook said, “Facebook wants to make every phone social and Vodafone has taken the integration of Facebook to the next level with the Vodafone Blue. We are really happy that Vodafone has brought the phone to India and enabling people to experience Facebook free of charge from the mobile device for a year”.